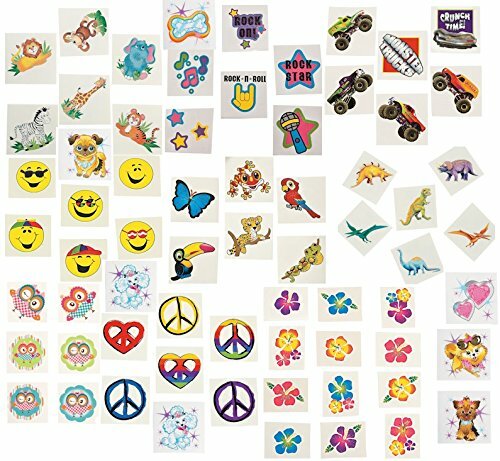 360 piece tattoos Contains a variety of designs including: Monster Trucks, Hibiscus flowers, Zoo Animals, Smiley Faces, Bling Dogs, Peace Signs, Owls, Rock & Roll, Rain Forest Animals & Dinosaurs. Tattoos measure approx. 1" - 3 3/4". 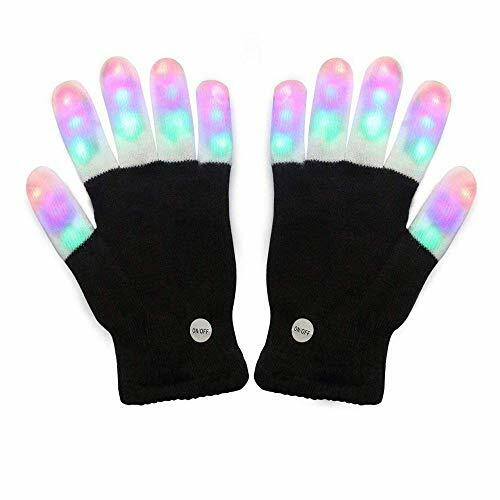 They are safe and non-toxic. One Dozen Bright Hibiscus Pens On A Rope. 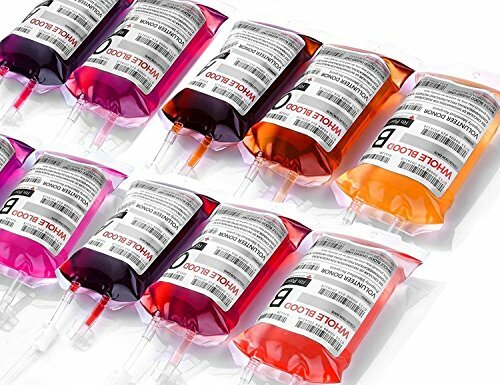 Take them with you! 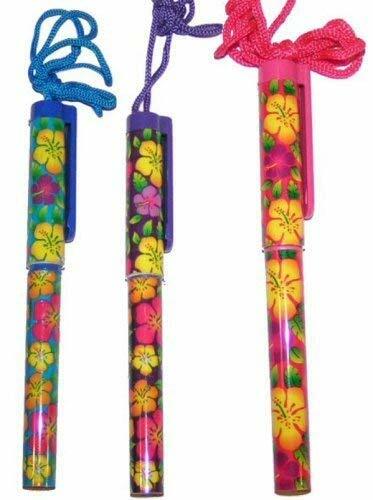 These handy plastic pens feature festive Hawaiian flowers and colorful matching cords. 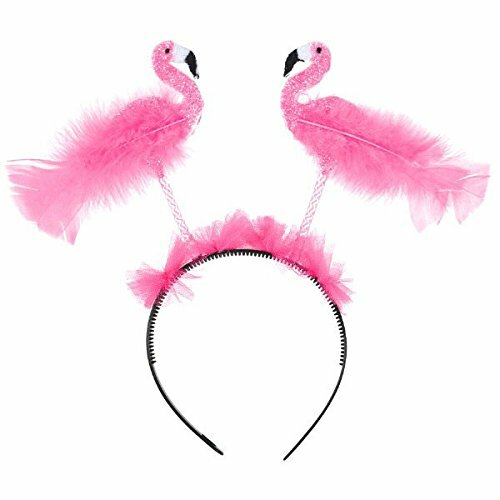 They're the "write" party favor for a tropical luau! Each 5" pen is on a 30" cord. Don't end up in jail! 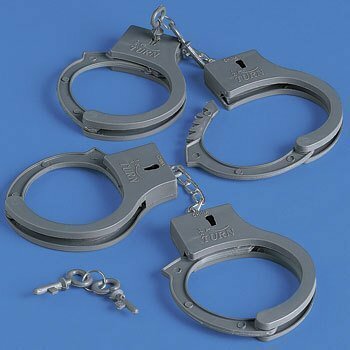 The perfect accessory for a sheriff or police Halloween costume, these plastic 3 1/2" adjustable cuffs have a cool law enforcement look. 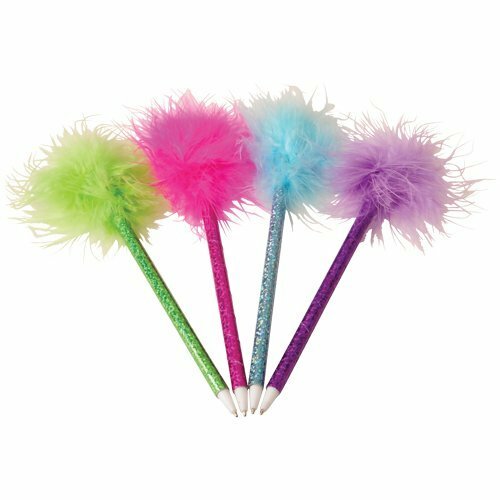 Perfect for party favor bags and accessories for school and church plays, too. Includes 2 keys.